The Dramm ColorStorm Whirling Sprinkler creates a fun circular pattern. Best for smaller spaces, it can be moved easily thanks to the wheels on the base. The most notable feature of the Dramm ColorStorm Whirling Sprinkler is the unique water pattern that it creates. Shooting water up and out from the three arms as they move in a circular motion creates a “whirling” effect with the water. It’s certainly fun to watch and is a unique way to water your lawn or garden. As mentioned on the sticker that comes on the base of the unit, this sprinkler uses brass, which means that it also contains lead (California Proposition 65 warning). For safety reasons, sprinklers that contain lead should not be used in organic food gardens, as it may taint the food that you are growing. It’s Fun! – This sprinkler is fun to run through! Though you have to be careful not to trip over the sprinkler itself as it’s whirling around (ok, yes, I’m speaking from personal experience…). Easy to Move – The wheels mean that you can easily move this sprinkler by dragging it by the hose, even while it’s in use. There are also holes where you can stake the sprinkler if you’d prefer that it stay in one spot. Sturdy Connector – The metal hose connector turns easily so you can spin it to attach onto a garden hose. It also moves while connected to the hose so you can lay the sprinkler flat, rather than fighting with the hose. It has a decent washer and metal strainer to keep debris out of the sprinkler heads. Inconsistent Coverage – Many sprinklers have problems with inconsistent water coverage, and this one is no exception. In our tests, we measured significantly more water closer to the sprinkler, with coverage tapering off as you move farther away. So while it might be ideal for smaller areas or yards, it won’t adequately water the entire stated coverage area; assume that most of the water will be within the first 10 yards of the sprinkler. Dramm has a limited lifetime warranty on all its products against defects in material and workmanship. The Dramm ColorStorm Whirling Sprinkler is both a fun and simple sprinkler for use in a small yard. The wheels allow you to easily move it around, and the water is released in a fun whirling pattern. However, water is mostly concentrated closer to the sprinkler and then tapers off, so while it works very well, it will realistically only cover about 10 yards away from the sprinkler. Like other Dramm ColorStorm products, you have six bright colors to choose from! The Dramm ColorStorm Whirling sprinkler is available on Amazon in six different color options. You may also find it at a garden center or box store near you but call ahead to be sure they have the model and color you want. If you liked this review, please sign up for our email updates with reviews, how-to articles and gardening videos! 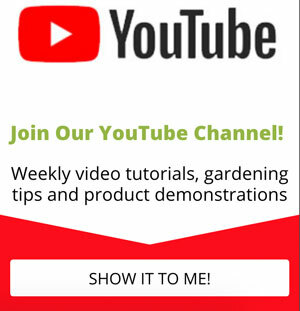 Yes, I Want Reviews & Gardening Tips! Disclaimer – GPReview would like to thank Dramm for giving us a free sample to review. There was no expectation that it would be a positive review and we received no compensation for writing it. All opinions expressed here are those of the author based on personal experience using the product. Please note that the Amazon links (and only the Amazon links) above are affiliate links. Should you choose to purchase products through these links, GPReview will make a small commission (at no extra cost to you) that helps to support this website and our gardening product reviews. Thank you! Sarah, originally from Wisconsin, prefers to be outdoors whenever possible. She has been known to high-five trees on hikes, tests the limits of her balance on kayaks, and is re-discovering a love of cycling. She works behind-the-scenes at the Gardening Products Review, located in sunny Tucson, Arizona.